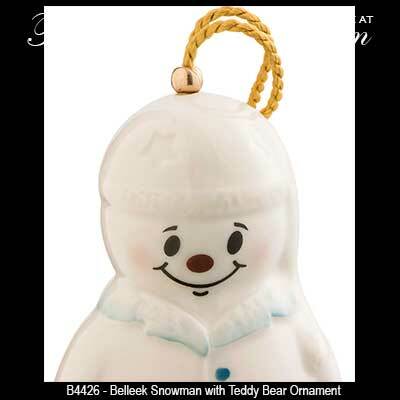 The Snowman ornament with Teddy bear was introduced in 2016 and features Belleek's hand painted shamrocks. 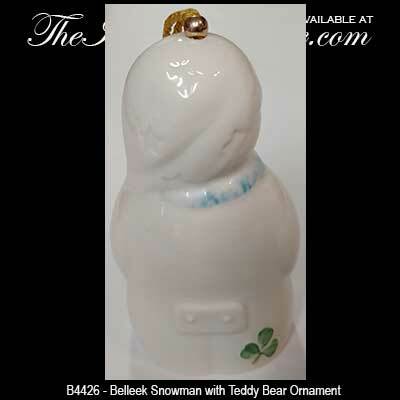 This Irish snowman ornament from Belleek is named The Night Before Christmas and he is holding a Teddy bear while wearing a stocking cap with stars. This Irish bell ornament is made of fine china and features Belleek's hand painted shamrock on the back. The Irish Teddy bear ornament measures 2" wide x 3.9" tall; it is ready to hang on your Christmas tree with the included gold tassel. 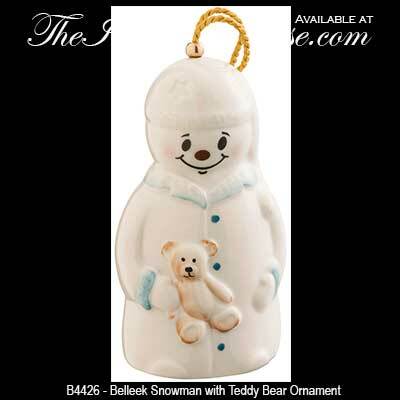 Irish snowman ornament from Belleek China is holding a fir tree.